For those seeking a hero in a beauty queen, Miss America has created her own browser to protect young girls from online predators. Each site the browser accesses is filtered and approved by the Miss America Organization and the Children's Educational Network. It also reads email out loud and can instruct kids to do laundry or homework, based on parental programming. Par for the course if she can improve the ratio for the 1/5 Americans who can't locate the States on a map. Miss South Carolina failed miserably in that regard, but maybe that's why she didn't win the crown. Could Diesel Be the Velvet Underground of Fashion? We love Diesel. We've been shopping there since we were old enough to comfortably blow triple digits on sneakers. So maybe it's our bias when we look at one of their myriad scatterbrained campaigns and suggest that maybe Diesel does know what it's doing. Maybe they're the rock stars of the fashion world: burn-outs on the outside, but soaked in talent and a profound quest for meaning from within. We were about to trash this concept, but now we're not sure if we want to. Pay it to Me! 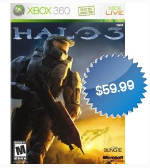 is a site where people can post images of stuff they want, with the cost and currency prominently displayed. Then an advertiser buys the item for the person and gets some traffic to their website in exchange. Sounds simple enough, but we had it explained to us once and still had to reread it on the site. It's hard to tell what the site is for unless you scroll down a little. It also doesn't seem like traffic is jumping, though the creators hope they've got the next Million Dollar Homepage on their hands. Either way, this could be an awesome opportunity to ask for completely inane stuff. Like Lincoln Logs put together in the shape of Jesus. Or a car made out of cake. Come on, baby, pay it to me. 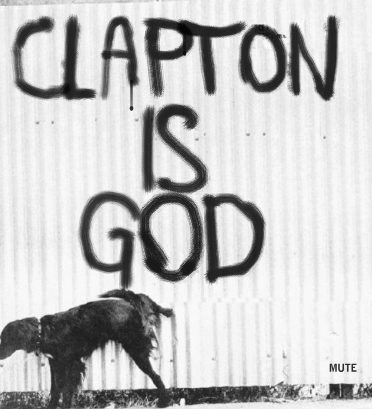 We're not really sure why you'd want to tell a buddy that he or she "is God," but Eric Clapton's PR team is hoping you will. 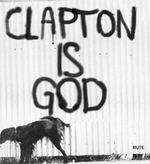 The image at left is being promoted to celebrate "Complete Clapton," which goes out on October 8. In the meantime, you're invited to send a "[Buddy's Name Here] is God" ecard to somebody you (presumably) worship in exchange for the chance to win a Fender Stratocaster electric guitar. ...assuming you want to get very close at all. To promote the Pitpass subsite (created by Zugara, LA), which is Toyota's attempt to drum a fanbase out of the NASCAR niche, Saatchi & Saatchi gives us FanDangler and FanTandem. The former actually seems like a lot of fun, and the latter looks like something you might think would be funny to try if you were bored as hell and high as a kite and had nothing better to do besides see what NASCAR was up to (and baby, it ain't never much). This is awesome. Leo Burnett in Cairo put together this series of real-life-meets-pop-culture spots for client Melody Tunes, Egypt's first all-English music channel. The effort goes in exact opposition to the hipster feel of iPod spots, which suggest your writhing rendition of the soundtrack in your head is actually sexier than it is. The parodies also touch lightly on cultural misunderstandings that occur when pop culture is imported. This is something we can especially relate to, considering our mom thought "Hit Me Baby One More Time" was an anthem for masochists. Onto the parodies: Smack That, Oops! I Did It Again, Candy Shop (50 Cent would be so proud), Don'tcha (we covered our eyes for this one), and Hang Up. That zany little fat kid just cracks us up. He looks (and cries) like an Egyptian Cartman. WongDoody, which recently brought us the clever Horizon Air campaign, has extended its No Stank You youth anti-smoking campaign for the Washington State Department of Health with a social media and fashion styled campaign. The program is described thusly, "To earn a free No Stank You shirt, teens visit No Stank You and participate in the "Do 3, Get T" incentive program. Points are awarded for adding a No Stank You banner to a personal Web site, submitting an original tee design, referring a friend to the No Stank You site and more. Each activity is worth one point. Three points earns a free tee." Supporting the effort are TV and radio. View one of the six spots here. Gross. Weird. Good. We're a little confused about Trojan's position in the social networking space. 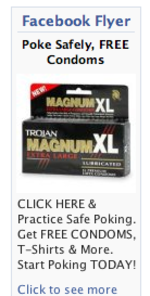 While encouraging sexually active users to "Evolve" from pig to man via MySpace, the Facebook flyer for Trojan's Magnum series appears to be encouraging us to poke each other to a frenzy. Maybe they thought dudes with bigger schlongs just don't read Orwell. To be fair though, the innuendo behind Facebook's "pokes" is a little hard to resist. We can't even count how many users have made us feel uncomfortable with their incessant poking. If we reciprocate, will they think we're whores? UPDATE, 10-5-07: A contact at Edelman says the ad isn't Trojan's but (possibly) an online condom vendor's. Well, baby, free promotion never does hurt. Unless you happen to be running a campaign specifically aimed at discouraging porky poking practices. Who Needs Social Networking When We Have eBay? Interesting. When every marketer is on a land grab for the latest Second Life, MySpace, Twitter or Facebook stunt, Metropolitan Life, perhaps being true to the blandness that if life insurance, has chosen old fashioned eBay (remember all those stupid auctions?) to place its MetLife Snoopy in Fashion promotion. Part of Mercedes-Benz Fashion Week, the promotion lets people bid on fashions designed by Heatherette, Isaac Mizrahi, Betsey Johnson and Pamella Roland, Kristin Chenoweth, Whoopi Goldberg, Elisabeth Hasselbeck, and Ingrid Hoffmann. Design for a September seventh runway event, proceeds from the bids will go to Dress For Success, "a non-profit organization which promotes the economic independence of disadvantaged women by providing professional attire, a network of support and the career development tools to help women thrive in work and in life." For once, an eBay auction that doesn't have anything to do with tattooing body parts or auctioning off pixels on a website. And who doesn't love Snoopy? There's something strangely appealing about this simple promo for ABC's Pushing Daisies. Developed by True North Inc., Plant a Daisy lets you write out a name and a question for your beloved (or detested?) deceased, then plant a daisy. The field of daisies gives way to a teaser for the show, which walks a line between funny and touching in some sad way.